How do we know where we are? How can we find our way from one place to another? And how do we store this information such that we can find the way the next time we take the same path? Drs. John M. O’Keefe, May-Britt Moser and Edvard I. Moser discovered nerve cells in the brain that enable a sense of place and navigation, an “inner GPS” that shed new light onto how spatial memory might be created. In the 1970s, John O’Keefe discovered place cells in the hippocampus of rats that signal position and provide the brain with spatial memory capacity [2-4]. In the 2000s, May-Britt Moser and Edvard I. Moser discovered in the medial entorhinal cortex (a region of the brain next to hippocampus) a novel cell type called grid cells that shared characteristics with place cells and provide the brain with an internal coordinate system essential for navigation [5-6]. The combination of position and navigation functions are responsible for animals’ knowing where they are, where they’ve been, and where they’re going. Recent investigations with brain imaging techniques, as well as studies of patients undergoing neurosurgery, have provided evidence that place and grid cells exist also in humans. In patients with Alzheimer’s disease, the hippocampus and entorhinal cortex are frequently affected at an early stage, and these individuals often lose their way and cannot recognize the environment. Knowledge about the brain’s positioning system may, therefore, help us understand the mechanism underpinning the devastating spatial memory loss that affects people with this disease. The discovery of the brain’s positioning system by O’Keefe, Moser and Moser represents a paradigm shift in our understanding of how groups of specialized cells work together to execute higher cognitive functions and has implications for understanding other cognitive processes, such as memory, planning and thinking. 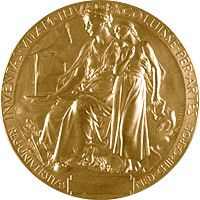 The 2014 Nobel Prize in Physiology or Medicine – Press Release. Nobelprize.org. 6 Oct 2014. O’Keefe and Dostrovsky. The hippocampus as a spatial map. Preliminary evidence from unit activity in the freely-moving rat. Brain Res. 1971 Nov;34(1):171-5. O’Keefe, J. 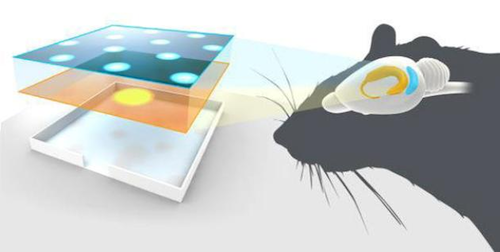 Place units in the hippocampus of the freely moving rat. Exp Neurol. 1976 Apr;51(1):78-109. O’Keefe and Nadel. The Hippocampus as a Cognitive Map (Oxford Univeristy Press) 1978. Hafting et al. Microstructure of a spatial map in the entorhinal cortex. Nature. 2005 Aug 11;436(7052):801-6. Epub 2005 Jun 19. Solstad et al. Representation of geometric borders in the entorhinal cortex. Science. 2008 Dec 19;322(5909):1865-8.